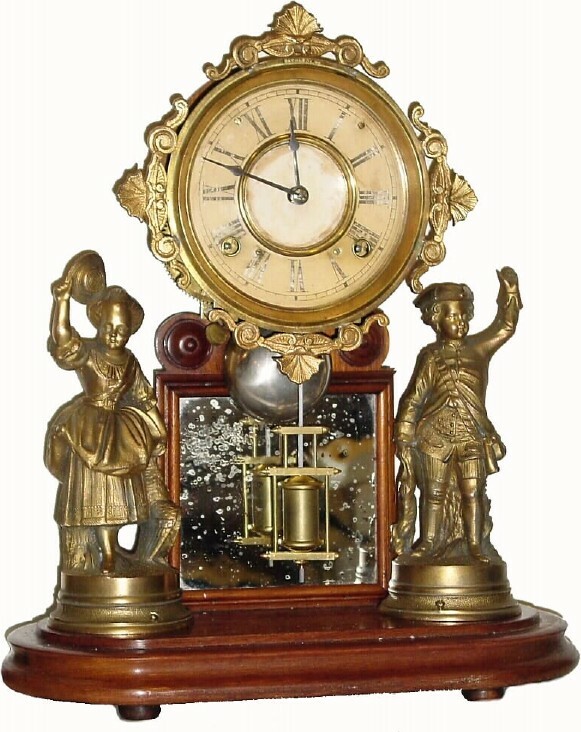 C.1878, Ansonia Clock Co., "Crystal Palace No. 1" 8-day time/strike walnut clock. This example has been nicely restored. The bezel is marked with a patent date of 1876. The dial has turned a little brown from age and there is some wear to the numbers. The mirror has some tarnished areas. This is Davies\' early configuration with spun bezel and soldered accents. The movement is signed Ansonia. There is no dome with this clock. Height 18"